With industry leading WXGA resolution (1280 x 800 pixels), this machine reproduces images with amazing clarity and sufficient levels of details. 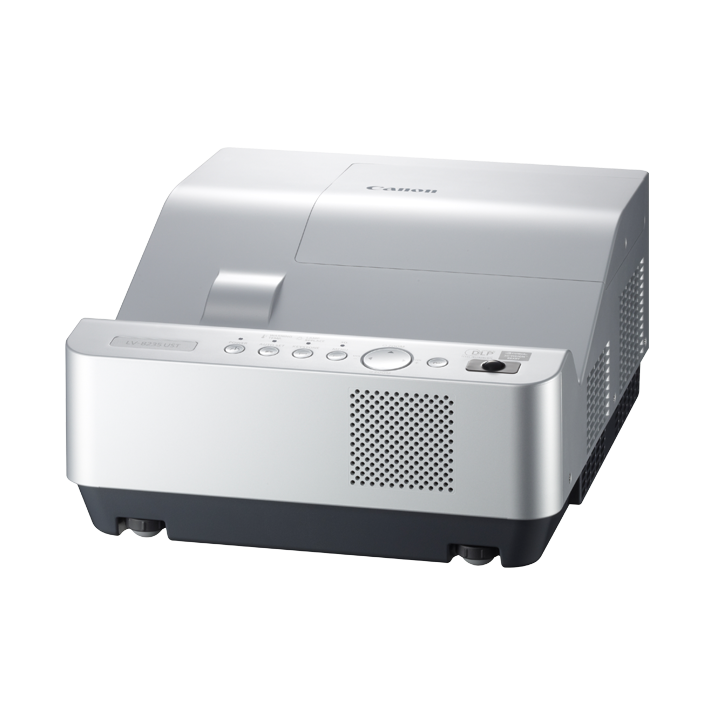 The capacity to display images in a wide-format ratio of 16:10 makes this projector fully compatible with wide-screen laptops. LV-8235 UST offers a large screen projection of 80-inch on a screen at a distance as short as 32cm. It supports a wide range of installation methods, including suspended from the ceiling, floor mounted, or desktop mounted. Enjoy large screen 3D projection display. The LV-8235 UST supports "frame sequential display format", a technology that rapidly alternates between right and left parallax views for viewing of 3D images when wearing 3D glasses (active – shutter type).